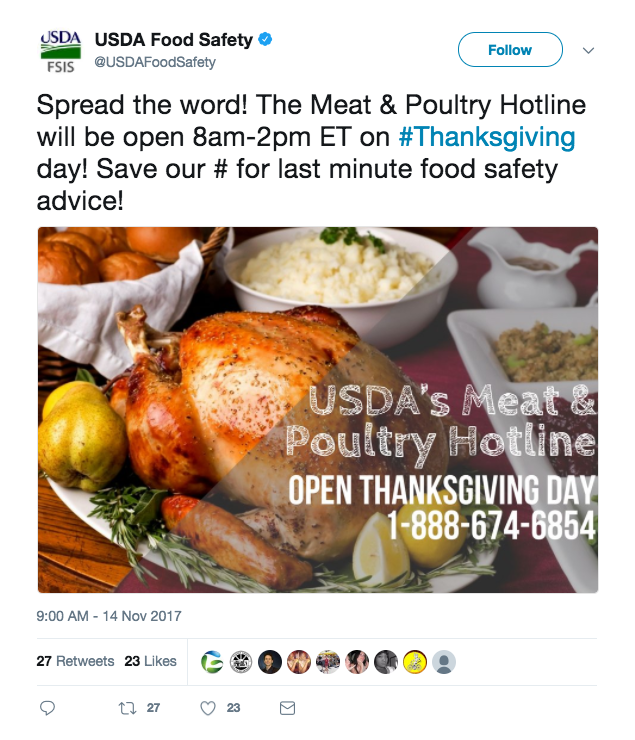 The USDA Meat and Poultry Hotline can help you prepare a turkey that is delicious and safe for your guests. Thanksgiving is a time for Americans to gather with loved ones to express gratitude. Dinner guests will be even more grateful if their hosts don’t play fast and loose with food safety practices when preparing the shared meals. I am a terrible cook. My brother is an excellent cook. One year he told me his turkey was thawing in the bathtub because it was too big for the refrigerator and my enthusiasm for dining at his house began to cool. To avoid making diners sick, the traditional fowl should be thawed at temperatures below 40 degrees F. The "Danger Zone," temperatures where foodborne bacteria multiply rapidly, is between 40 and 140 degrees F.
A whole turkey weighing 4 to 12 pounds takes 1 to 3 days to thaw in a refrigerator. Heavier turkeys take longer. 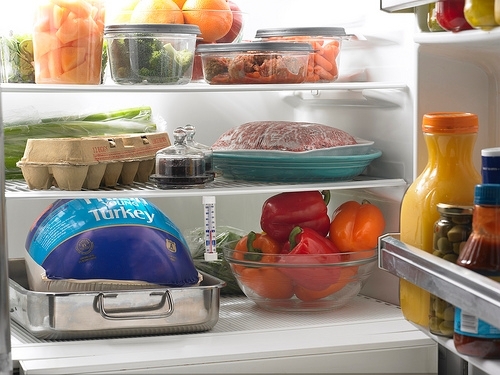 A thawed turkey can remain in the refrigerator for 1 or 2 days before cooking. If your turkey weighs more than 12 pounds and today is Tuesday and you haven’t begun thawing it, you may have to resort to Plan B for thawing the bird or ordering Chinese food on Thursday. According to the USDA Food Safety and Inspection Service website, there are three safe ways to thaw food: in the refrigerator, in cold water and in the microwave oven. Procrastinators will be thawing their birds in cold water or in the microwave. 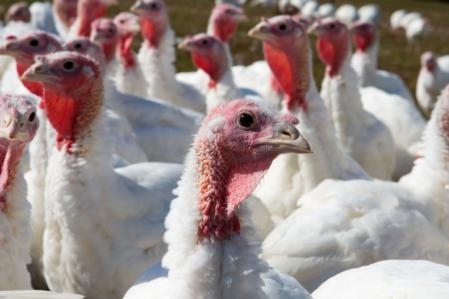 For details on quicker thawing, see the USDA website: http://www.fsis.usda.gov/wps/portal/fsis/topics/food-safety-education/get-answers/food-safety-fact-sheets/poultry-preparation/turkey-basics-safe-thawing/ct_index. Schneider also reminds us to prevent cross-contamination of foods. For example, don’t wash or rinse the turkey before cooking because the rinse water may splash bacteria around the sink, which can then come into contact with other foods and utensils. Another way to prevent cross-contamination is prepping the stuffing ingredients before you handle the raw turkey. Keep the raw turkey and their juices away from other foods. After you prep your raw turkey, wash the cutting board, knife, sink and counter tops with hot, soapy water. Sanitize cutting boards with a solution of 1 tablespoon of unscented, liquid chlorine bleach in 1 gallon of water. Wash your hands with soap and warm water frequently and always after handing raw foods. And for crying out loud (to invoke a phrase my late father used), don’t wipe your dirty hands on a towel that will be used to dry clean dishes later! She recommends wrapping leftovers in airtight packaging or sealing in storage containers. This helps keep out bacteria while keeping your food moist and preventing your prized family dishes from picking up odors from other foods being stored in the fridge. For faster cooling, break up large amounts of food into smaller containers. Delicious leftovers that have been stored in the refrigerator can be enjoyed for 3 to 4 days. If you freeze them, you can eat them 3 or 4 months from now. This Thanksgiving, I will be thanking God for allowing my family and me to survive our lackadaisical food handling on previous holidays. Happy Thanksgiving to you and your loved ones! For more information on food safety, visit http://www.fsis.usda.gov/wps/portal/fsis/topics/food-safety-education/get-answers/food-safety-fact-sheets/safe-food-handling/keep-food-safe-food-safety-basics/ct_index. Why is there a turkey in the garage?! If you’ve ever found yourself asking any variant of this question, trust us - you’re going to want to read on. As the holiday season approaches, we begin to think about spending time with our families, enjoying one another’s company over the many feasts that accompany special days. While we may set aside mindful eating during the holiday season, we should not set aside food safety. With respect for time-honored traditions, might we suggest that this festive time of giving and sharing SHOULD NOT include sharing foodborne illness by forgetting food safety measures? In many California counties, we may still have some heat lingering late into the November month. How much harm can the garage thawing method, or “GTM” if you will, really have? After all, we will be cooking it appropriately right? Wrong! If thawing your turkey in the refrigerator; plan for 24 hours per 4-5 pounds of turkey. Place the turkey into a container to avoid contaminating other foods. If thawing your turkey in cold water; plan for 30 minutes per 1 pound of turkey. Remember to change the water every 30 minutes. A turkey thawed in cold water or in the microwave must be cooked immediately. Cooking your turkey properly ensures that all harmful bacteria have been destroyed. Cooking time ranges from 2¾ hours to 5¼ hours depending on size and whether the turkey is stuffed. To check the temperature of a properly cooked turkey, one should insert the thermometer into the innermost part of the thigh and wing as well as the thickest part of the breast; proper temperature should read 165 degrees. Once all parts have reached this minimum temperature, it is safe to eat, even if parts should remain pink. Stuffing should read 165 degrees when properly cooked as well. Cut turkey or other meats into smaller pieces. Store stuffing separately. 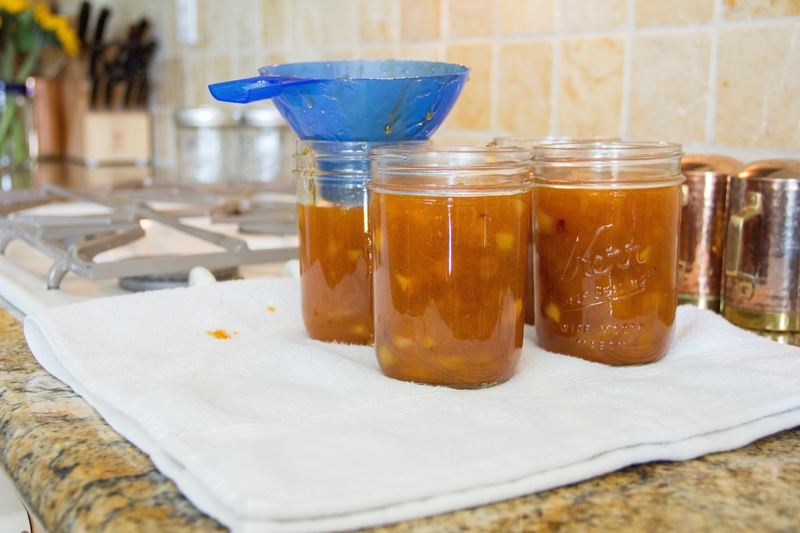 Divide large quantities of food items into smaller portions before storing. Store different food items separately. Turkey that is stored in the refrigerator can be held for 3-4 days; reheat to 165 degrees. Frozen turkey can be stored for 2-6 months; reheat to 165 degrees. Enjoy your holiday feast and be sure to keep your foods safe! These tips and more can be found at http://www.fsis.usda.gov/.